Our newspaper holder is an art piece in itself. Intricately-cut and 24 K gold-plated. My love for newspapers has led me to create an ever expanding range of products related to them. Available in limited edition. 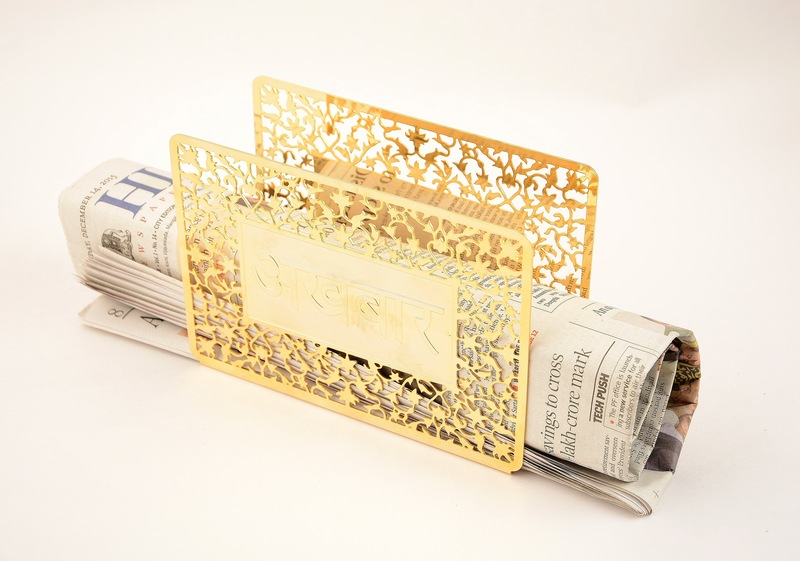 This entry was posted in Whats New and tagged Anand Prakash, home accessories, Newspaper holder. Bookmark the permalink.